OCALA, Fla. -- Some of the roads leading into Ocala, 70 miles north of Orlando, are framed by horse farms with lush, rolling terrain where horses like thoroughbreds, Arabian and Paso Fino are bred and trained. It's an inspiring sight to see these magnificent animals roaming the verdant green pastureland. Candler Hills Golf Club is home to the Ocala Open, a three-day pro tournament staged every March. Golf course architects like Ron Garl, Rees Jones and Gordon Lewis have artfully utilized the same topography to design golf courses in the Ocala area. 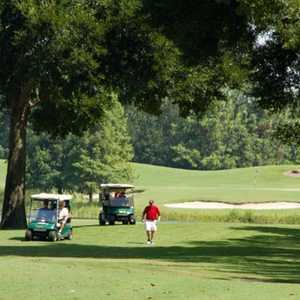 With an impressive inventory of golf courses for a city its size, Ocala offers great value to golfers who venture away from tourist areas like Orlando and Tampa. If you're a big hitter, or even if you're not, you'll love Candler Hills Golf Club. It's home to "The Monster" -- the 669-yard, par-5 fourth that is reportedly the longest hole in Florida. For shorter hitters, Candler Hills is a very playable at 5,978 yards from the blue tees, with a course rating of 68.2 and a slope of 117. Single-digit handicappers might opt for the 6,589-yard green tees (71.1/123). Home to the Ocala Open, a popular three-day professional tournament staged every March, Candler Hills is a rugged test for the pros, but adroitly designed by Lewis as a fun and challenging experience for weekend golfers. "The landing areas are generous," says Logan Stringer, assistant golf professional at Candler Hills. "However, you need to take some time and strategize your target area to avoid well-placed fairway bunkers." Nearby, Stone Creek Golf Club boasts exceptional putting surfaces with its Champions Bermuda Greens. Routed over 187 acres of undulating countryside, the course is peppered with lakes and water comes into play on 11 of the 18 holes. While Stone Creek plays 7,211 yards from the back tees, it accommodates a wide variety of skill levels with more than four acres of tee boxes and up to six tee settings on most holes. Marion Oaks Country Club, a 7,031-yard championship course, takes pride in its smooth 328 Bermuda greens and high maintenance standards. Multiple elevation changes, spectacular oak trees and panoramic views only enhance the golf experience. You don't have to be a long hitter on the 6,552-yard, par-72 Ocala Golf Club course, but some solid shot-making skills to navigate around 34 bunkers will help you score well here. A mixture of fairways lined with tall pine and mature live oak trees, tightly mown green complexes and white sand bunkers define the personality of this venerable layout. It recently received a renovation by architect Mike Beebe. For those seeking a player-friendly, affordable course that requires more finesse than brawn, the 6,533-yard Pine Oaks of Ocala golf course has a wide variety, ranging from tree-lined holes with water to wide-open, links-style holes with lots of sand and mounds. A great course to walk as well as ride, Pine Oaks is ideal for all skill levels. 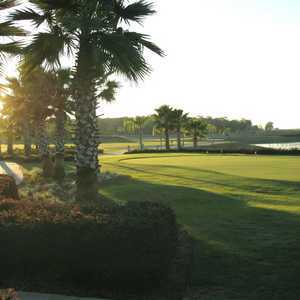 Also in the 6,500-yard length category is Ocala Palms Golf & Country Club, a picturesque and challenging layout with waterfalls, interesting rock formations, sugar white sand bunkers, ponds and mature trees. Built on a former cattle ranch, the course is peppered with live oak, hickory nut and magnolia trees. You'll often see blue herons and egrets checking out the fairways. What's new in Ocala golf? The longtime favorite Golden Hills Golf & Turf Club was recently purchased and renamed Ocala National Golf Club. Opened in 1964 by the Castro family, the course, which is dominated by massive oak trees and tall pines, was redesigned by Rees Jones several years ago. In the town of Dunnellon, about a 15-minute drive from Ocala, the Juliette Falls golf course, which has garnered several awards from national golf publications, is brimming with eye candy like four spectacular waterfall features, rock formations and wild flowers. Rest assured, you'll take some great shots, whether it's with your clubs or your camera. Juliette Falls, designed by John Sanford, has elevation changes, rolling fairways and exceptionally maintained greens. 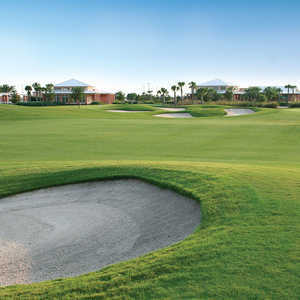 Other Florida designs by Sanford include Miami Shores Country Club and the Links at Madison Green in Royal Palm Beach. Once you leave the fairways for the day, there is a lot to do in the area, including the Don Garlits Museum of Drag Racing, Appleton Museum of Art and Silver Springs theme park. For the outdoors enthusiast, the Ocala National Forest offers a wealth of opportunities for hiking, camping, fishing and canoeing.